Brand new 2-bedroom apartment situated on the top floor level in a closed and private residential urbanisation located in a peaceful area of the golf valley with only a short drive away from all amenities. The apartment consists of an open plan living and dining area, a fully equipped kitchen and two bedrooms of which one is an en-suite and an additional bathroom. There is a partly covered terrace south-west oriented and with a nice garden view. Parking space in front of the entrance. Large community gardens and pool areas. 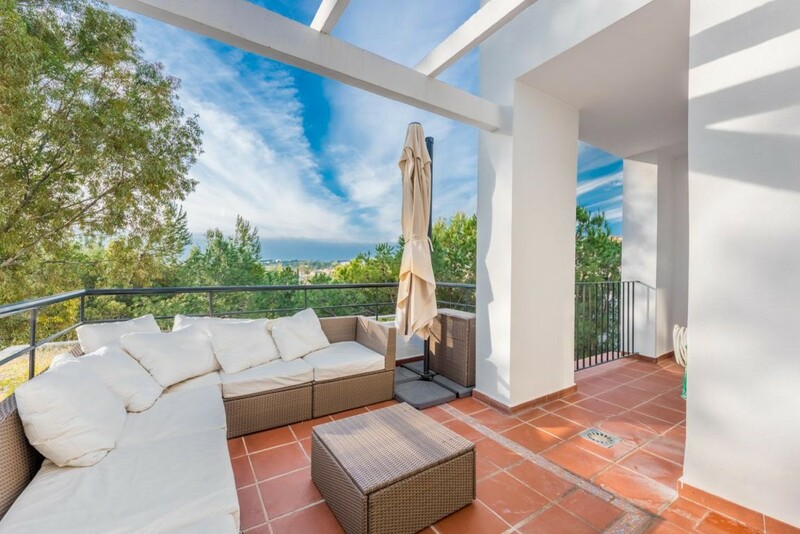 It is the perfect vacation home in the heart of Nueva Andalucía.